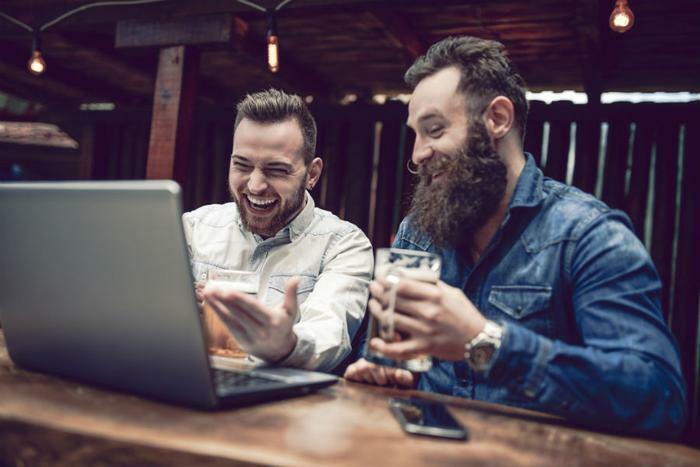 Yet another reason to hide your cell phone before a night of heavy drinking: American shoppers spend billions while drunk shopping online, according to a new survey. The recovery center Archstone surveyed 2,000 Americans about their drinking and online shopping habits. Nearly half (46 percent) said they had given in to the temptations of Amazon while under the influence. In total, Americans spend an estimated $30.4 billion in drunk purchases, a figure that doesn’t even include your unfortunate decision to have one more drink at the bar. The figures vary widely when broken down by drinks; whiskey drinkers shop the least, while gin drinkers average $82 in Amazon expenditures. “While gin has a long and storied history of being linked with extreme emotions and wild behavior, there’s no evidence that getting ‘gin drunk’ is any different from any other type of intoxication,” Archstone says. The survey focuses on Amazon specifically. But of course, they’re not the only retailer that has a sharp eye on your search history and is all too happy to anticipate your future needs. A rise of food delivery apps like Seamless and UberEats are also designed to appeal to hungry people with little self-control -- and they have racked up billions in the process.